One of the hardest parts of being an indie or self published author is learning how to market your book. With so much information available on marketing it’s hard to decipher the best practices for promoting your particular book without breaking the bank. Every book is different, so every approach to marketing should be as well. Our new social media services provide an individualized service to help authors make the most out of each project online. Not sure what to tweet? Don’t know how to make the most of a Facebook post? Let our social media expert and self-published author Claribel Ortega guide you through the process of making every character count with this content consult! Claribel will share with you her expertise and advice on the most effective posts and tweets, how to garner attention, and how to optimize your marketing efforts on social media. Claribel Ortega is the author of the Empire Witch series. 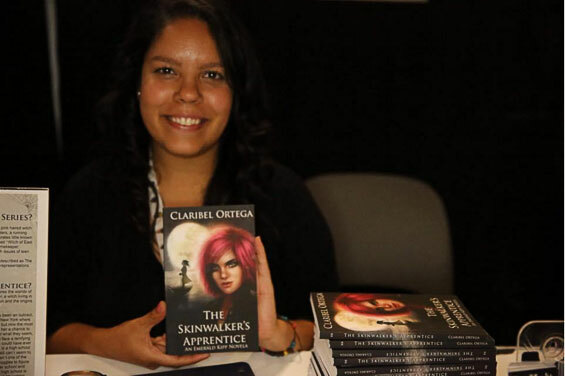 Claribel self-published the companion novella to the series, “The Skinwalkers Apprentice” and through her marketing efforts, saw “The Skinwalkers Apprentice” reach the top ten in both the fantasy and literary fiction categories for young adults on Amazon. As a former reporter, Claribel also has experience pitching to the media and catching the press’s attention. Claribel knows what it takes for an author to help grow their brand through social media, and she’s happy to share her expertise with you to help you do the same. You can find out more about her books and the buzz surrounding her series on her website: www.claribelortega.com.